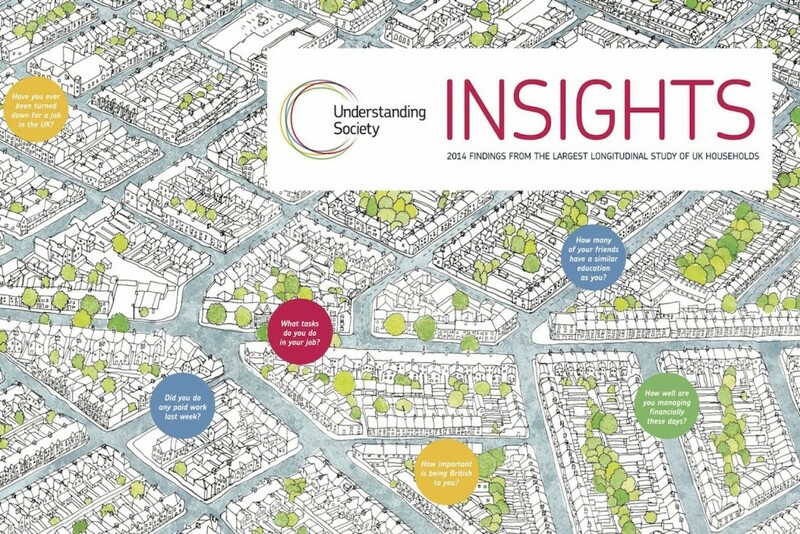 Today sees the publication of Insights 2014, a range of important research using the influential household study, Understanding Society. From coping with the recession, living in a diverse UK to the role of family ties and social connections, the publication shows us how people’s behaviour is changing over time and what that might mean for policy and society more widely. But what exactly are the benefits of large scale household surveys like Understanding Society and its predecessor the British Household Panel Survey? Writing in the publication, Professor Sir Ivor Crewe explains their essential role in helping policy makers and politicians get things right. Where is the public interest in investing substantial tax-funded resources in exceptionally large-scale national surveys of ordinary people’s everyday lives? And then of repeating such surveys, with largely the same questions asked of largely the same people, year after year for a quarter of a century, and with plans to continue doing so over the coming decades? The answer is straightforward: a longitudinal household survey is essential for an informed national conversation about public policy and for intelligent, well-judged government measures to address the welfare of the country. Only surveys on the scale of Understanding Society can map the ‘condition of the people’ in fine enough grain to depict differences between the many small but distinct sub-communities and categories of experience that mark an increasingly heterogeneous society. Only longitudinal surveys that return to re-interview the same people and households can trace the individual pathways of change that in aggregate constitute the nationwide changes that come to the attention of policy makers and the media. Governments respond to what they perceive to be the problems of change with what they hope to be solutions, but they frequently get it wrong. Most policy decisions are taken in a fog of partial information, misinformation and prejudice both about the true nature of the problem that needs to be resolved and the likely impact of the proposed interventions. The years since 1990 have been littered with policy failures rooted in a misunderstanding of ordinary households: the poll tax, the Child Support Agency, the mis-selling of pensions, tax credits and debits and, more recently, Universal Credit (probably) and the ‘bedroom tax’ (probably) all come to mind. These blunders most probably would have been avoided or minimised had there been a greater grasp, at the time, of the available fruits of social science research. Ministers and senior officials make policy mistakes for many reasons. Sometimes ideological conviction pre-empts the search for evidence. The hike in tuition fees to £9,000 in the belief that this would create a university marketplace at which student consumers would shop for the best value is an example. Sometimes politicians make simplistic assumptions about other people’s lives. The ‘bedroom tax’ (in reality a cut in benefit) was predicated on the mistaken belief that recipients on housing benefit with one more bedroom than the household size appeared to warrant had no need for it and could easily move elsewhere; the messy reality was that in many cases the particular household circumstances did warrant the extra room (eg, care for as disabled member) and the only smaller property available would be more expensive. An example in the opposite political direction is the Labour Government’s under-estimate of the popular resentment against immigration from eastern europe, on the assumption that it was racist, illustrated by Gordon Brown’s reference to a voter who raised the issue as “that bigoted woman” in an unguarded moment in the 2010 election campaign. Evidence of the pressure placed on housing and schools in some local communities by the unexpectedly large number of immigrants was plentiful. A common feature of these mistakes is the cultural disconnect between the policy-making classes and the policy-receiving classes. The extraordinarily rich and accumulating store of data on the dynamics of UK households offers an antidote to misconceptions about what has changed in UK society and why. There are numerous examples in Insights 2014. The Thatcher and Major governments were deeply concerned about a substantial permanent underclass of the poor, largely dependent on benefits, who bequeathed their poverty down the generations. It was true that the size of this class appeared to be constant from one year to the next, but by following the same individuals over time the BHPS showed that large numbers dipped in and out of poverty from one year to the next, depending on whether they found or lost a job, received or lost benefits, found or lost a partner. Previous analyses had confused the ‘stock’ of poverty with the ‘flow’. The same phenomenon has occurred during this recession. The permanent underclass is much smaller than commonly thought. Similarly the ‘squeezed middle’ of ‘ordinary hard working families’, the heroes of politicians on the stump, turn out not to have been squeezed, but to have been riding an upward escalator. Middle-income households going into the Great Recession were generally better off, not worse off, on coming out of it; while those coming out of the recession generally had lower, not higher earnings four years earlier. Surveying all of the insights gained from the Understanding Society surveys, what general conclusions can be drawn by policy makers? Firstly, the impact of external ‘shocks’ is rarely as dramatic as media commentary claims. The recession, the austerity measures, the cuts in public sector employment, the tripling of university tuition fees and the mortgage drought have undoubtedly had an impact but not as much or as rapidly or as enduringly as widely predicted. Secondly, households are more resilient and adaptable than often assumed. They can call upon a variety of stratagems to cope with adversity. The middle income households that avoided a squeeze as real salaries fell did so by shopping more carefully, entering the part-time labour market, using grandparents for child care and postponing a house move. Thirdly, societies consist of inter-connected moving parts. Change in one part triggers changes in others in a long chain that ends in unforeseen consequences. For example, the combination of rising numbers of university leavers, a recession-hit graduate employment market and rising housing costs have produced a ‘boomerang’ generation (a slightlymisleading term) of young adults living in the parental home. As the BHPS/Understanding Society programme moves into its 25th year and beyond, opportunities will open up to track the very long-term consequences of major events in people’s lives, including their childhood and youth. There is growing evidence that the life chances of adults in education, employment and income, as well as their future physical and mental health, are significantly influenced by early childhood and young adulthood experience but the precise mechanisms of this long-term effect remain to be traced. There remains much to know about the persisting consequences of, for example, poor parenting, bullying at school, household instability, and extended periods of unemployment or illness in early adulthood not only for the individuals in question but for wider society.There remains equally much to learn about the effectiveness of different interventions to compensate for these handicaps. Only the careful analysis of the trove of data from a continuous series of large household panel surveys can provide reliable answers. They have the potentially to be an enormously valuable return on the investment in the BHPS and Understanding Society. Professor Sir Ivor Crewe is author of The Blunders of Our Governments and currently Master of University College, Oxford.